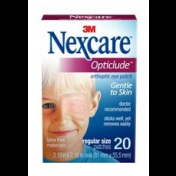 The Nexcare™ Opticlude™ Junior Orthoptic Eye Patch 1537 by 3M has multi-purpose uses. It protects the eye following surgery or covers the eye when treating Strabismus (crossed eyes) and Amblyopia (lazy eye). The eye patch is specifically designed for children and measures 2.5 x 1.8 inches. The patch is beige to be discreet so child will want to wear it. It has a low profile and fits well when a child wears eyeglasses. The patch is also beveled to allow the eyelids freedom to blink without restriction. This is important so the child refrains from removing the patch to get the most out of treatment. 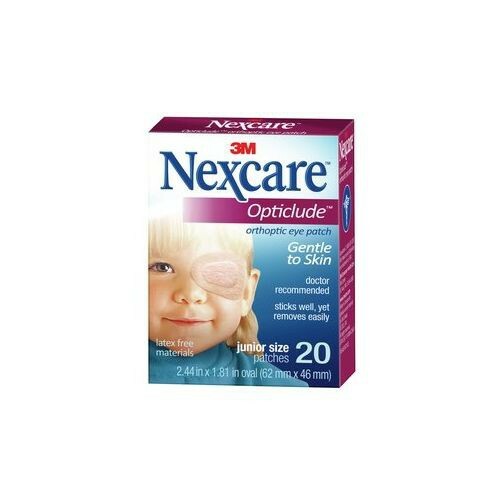 The 3M Nexcare Junior Eye Patch is latex-free and has a gentle adhesive for easy, hassle-free application. The adhesive secures well but removes easily when needed. The backing has a non-stick pad and is breathable for comfortable extended wearing. 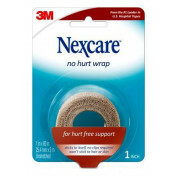 3M also created other fun Nexcare bandages to protect your child's cuts and scrapes. 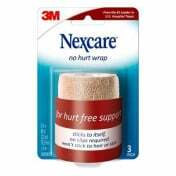 You may also be interested in 3M Nexcare Tattoo waterproof bandages printed with fun designs that children love.